If you were unlucky enough to have surgery in an English hospital in the mid 19th century, you often left as a corpse. 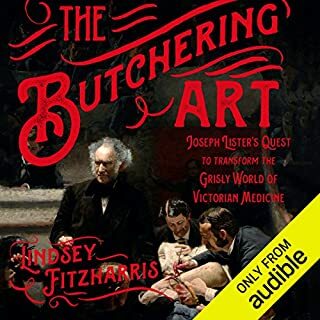 This book shows the horrible conditions and follows the struggles of Dr. Joseph Lister who ushered in a new era in medicine and in the process saved countless lives. Both author and narrator do a great job of immersing the reader in the Victorian era. There is not one boring moment in this book. Nowhere as good as Bosch or Mickey Haller books! The Bosch and Mickey Haller books are much better. 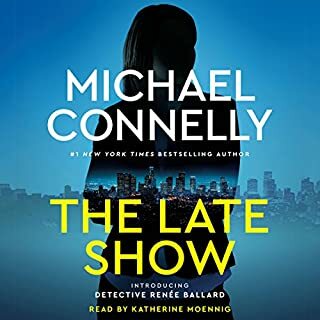 I've read or listened to all of them and think that The Late Show is the weakest of all of Connelly's books. I can't blame the narrator. Connelly's heart was not in this one.